Why install a garden irrigation system? Did you struggle to maintain your gardens over last summer? Lawn looking fried out? Maybe it’s time to consider installing an irrigation system in your garden. Save’s you time – No need to get up early to water the gardens or have to go out and water the plants before bedtime. and minimises the run off. Drippers and underground soakers are fantastic for saving water by reducing loss of water due to evaporation. Your plants will be happier – plants will receive a consistent amount of water that will allow for strong growth, flowering and fruiting. Far better than the “feast or famine” that often occurs with manual watering. 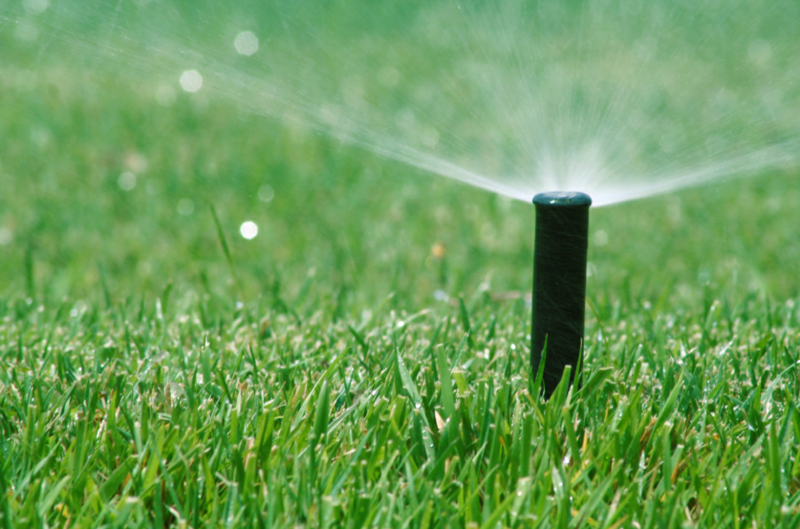 Lawn – There are two options when it comes to lawns: either pop-up sprinklers spaced around the lawn or underground soaker tubing. Pop-ups are the easier option for installation but be aware you will have evaporation loss with this method. They can also be difficult to position to ensure an even spray pattern which can mean spots can be missed and others get too much. Underground soakers remove that issue but are more expensive and take longer to install. Garden beds – There are a number of options available for garden beds depending on the type of plants. For beds with shrubs and large perennials, individual drippers or soaker pipes are excellent and can be hidden under mulch. Beds filled with smaller plants are best to use sprinkler nozzles mounted on risers that sit above the foliage. Pots – Individual drippers connected to a main pipe via spaghetti tubing are the best option for pots. Ensure you choose drippers that have adjustable rates so you can adjust to get the right amount for each pot. Large pots may require several drippers each. Manual timer – These attach to individual taps and must be turned on every time you want to start the system but automatically shut off once the time is up. Automatic tap timer – Again, these are also attached to individual taps but can be programmed to switch on and off automatically at as needed. Fully automated system – This is not attached to a tap. It connects directly to the mains water line and controls all the irrigation zones from one spot. Programming options are customisable, but the initial framework (mains access and back ow prevention device) needs to be installed by a licensed plumber.